FIRST PLACE WINNER of a CATHOLIC BOOK AWARD from The Catholic Press Association. "EXCELLENCE IN PUBLISHING AWARD" for Biography from the Association of Catholic Publishers. "Books in this category include biographies or autobiographies of Catholics whose work has made a valuable contribution to the Church and the world on a local level (through a ministry, e.g.) or a universal level (as a member of the Church’s hierarchy, e.g.) or whose example, teachings, or writings enrich Catholic spirituality and have had a wide-reaching influence." FIRST PLACE WINNER of the NAUTILUS GOLD MEDAL BOOK AWARD for Religion/Spirituality - Western Traditions. 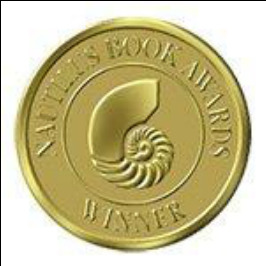 "The Nautilus Awards has a unique three-tier system of judging books that offers a deliberate course of examination and scrutiny designed to sort and separate books as they are measured against a carefully prepared list of notable characteristics. This process is long and labor-intensive. It is carried out by three teams of highly qualified, experienced reviewers located across the U.S. whose successful careers as editors, writers, librarians, schoolteachers and bookstore owners are matched with a passion for books that offer new ideas and options for a better world for everyone. . . Gold and Silver awards are given to print books of exceptional merit that make a literary and heartfelt contribution to spiritual growth, conscious living, high-level wellness, green values, responsible leadership and positive social change, as well as to the worlds of art, creativity and inspiration." FIRST PLACE WINNER of the NATIONAL INDIE EXCELLENCE BOOK AWARD for Religion/Non-Fiction. 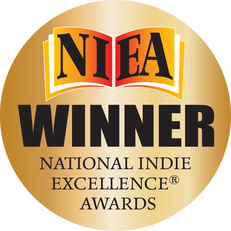 "NIEA recognizes Indie books for excellence in every aspect from design to content."